« Why don’t productions film in Orlando theme parks anymore? 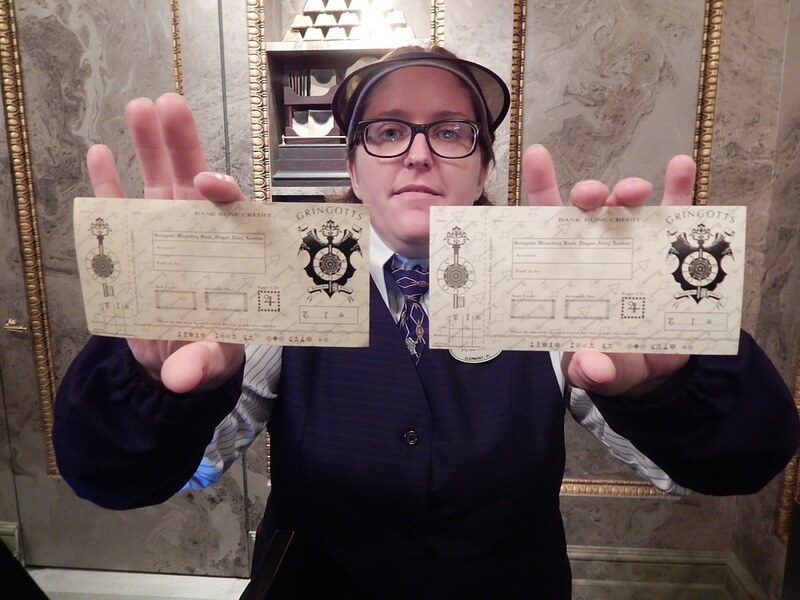 A few days ago, through dumb luck, I managed to snag a pass to Universal Orlando’s VIP party for Diagon Alley. 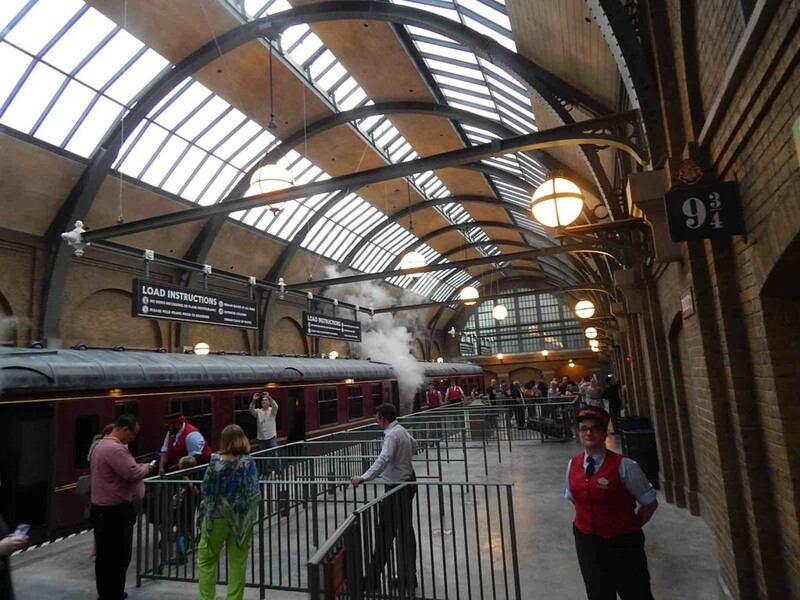 As you’ve already heard by now, it’s even more impressive than Hogsmeade at Islands of Adventure. For me, easily the highlight was taking the train from Hogsmeade to London/Diagon Alley. The experience is as authentic as you can get. It’s intimate, immersive, clever and it’s going to be extremely popular. Click below to take a trip to London, but be warned: It will spoil the experience for you! It’s immersive, beautiful and they have completely outdone themselves with this. 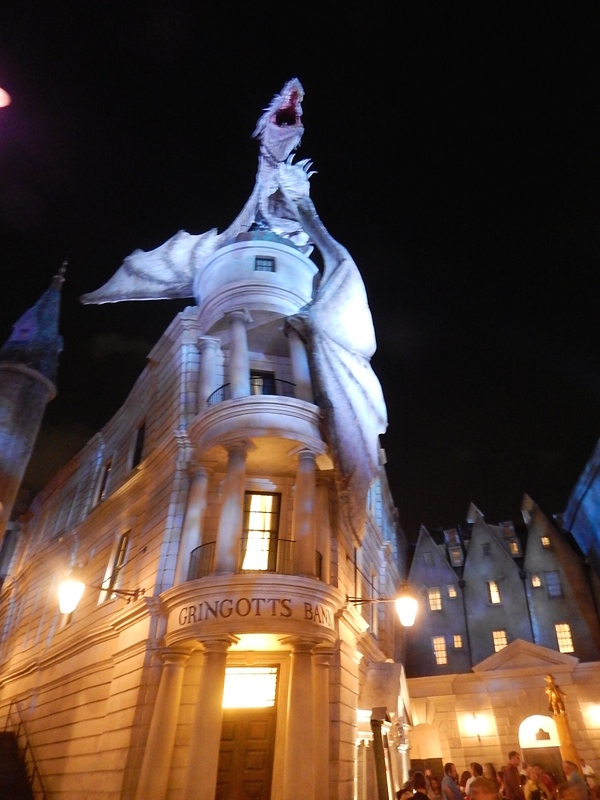 What I love most about Diagon Alley, even if aren’t a huge Harry Potter fan, it doesn’t matter. 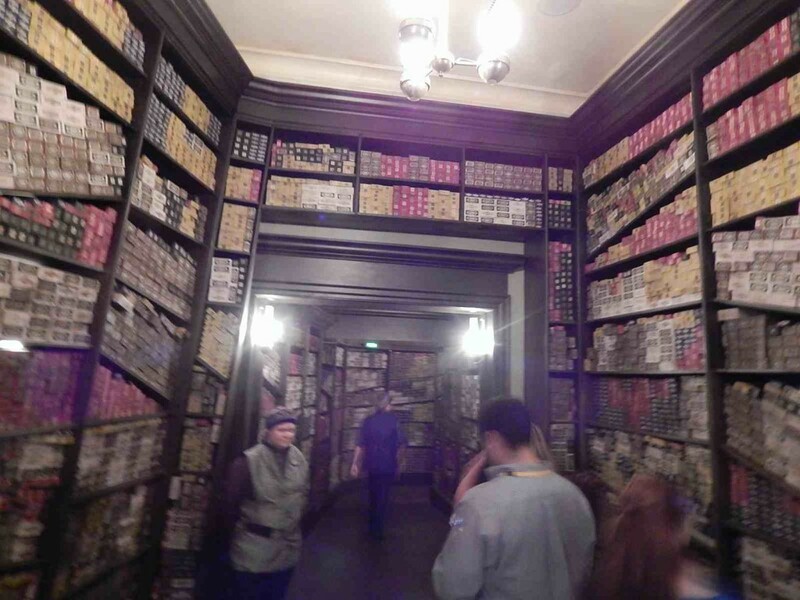 Even if you’ve never seen any of the Harry Potter films or read any of the books, you can’t help but get swept up in the environment. If there was a complaint that both guests and Universal management had about Hogsmeade, it’s that there wasn’t enough space in the shops and the lines were too long for Butterbeer. Good news. 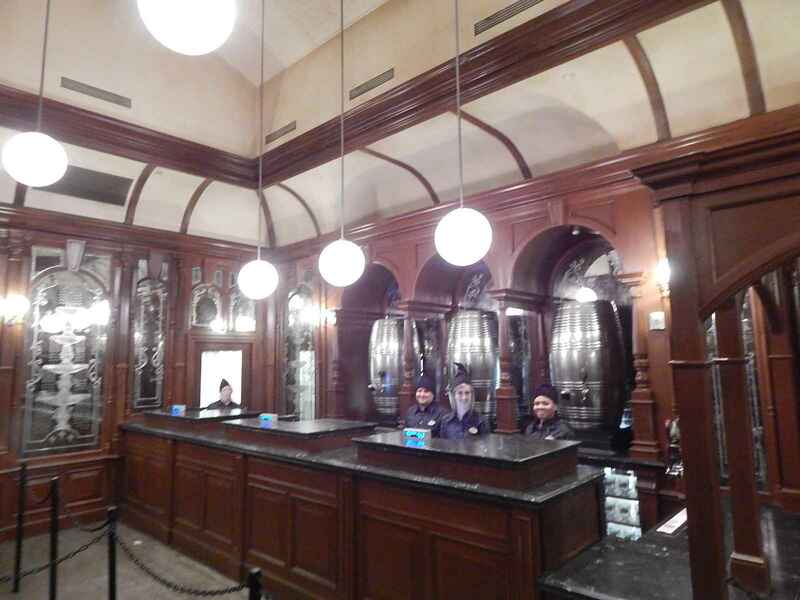 Now there are easily triple the spaces for Universal to take your money including this gorgeous tavern where they sell specialty alcoholic and non-alcoholic beverages. 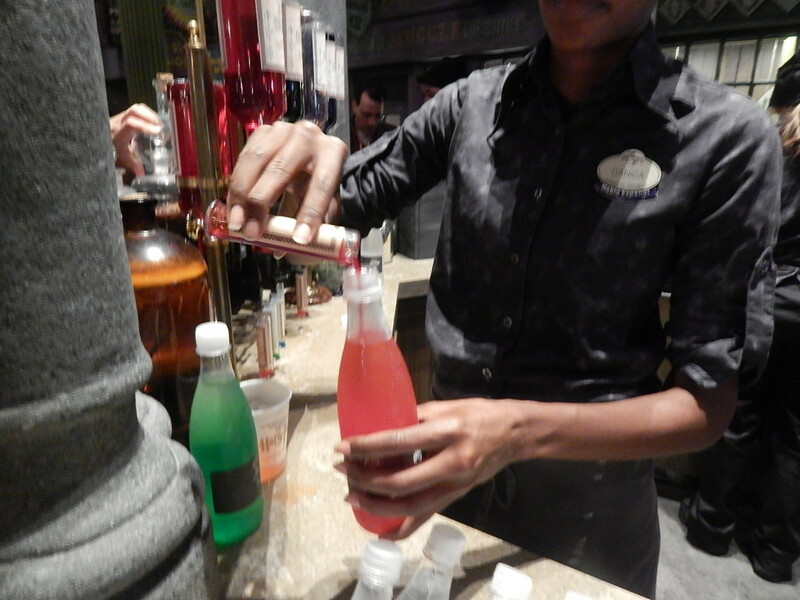 Universal has now created the new model in generating revenue in a theme park. Offering unique food and beverage and merchandise that can only be bought in the park. Every other theme park in the world is trying to recreate this, but none have been as successful as Universal Orlando. I tried the Fishy Green Ale, which was a lime green fizzy drink with a hint of cinnamon. At the bottom were “fish eggs” that explode in your mouth, otherwise known as blueberry boba balls. They are similar to those you’d find in Chinese beverages. I wasn’t crazy about it and Pumpkin Juice remains my favorite Wizarding World beverage – it’s like liquid pumpkin pie. An ingenious move was to create their own form of currency. 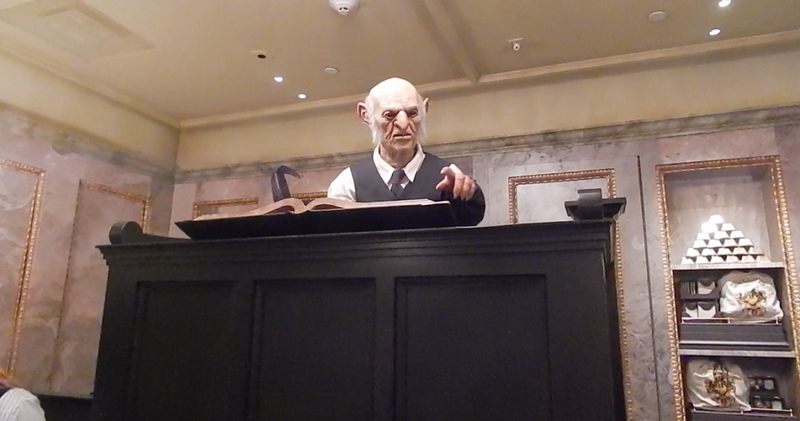 Diagon Alley has it’s own money exchange where this interactive animatronic will assist you in buying them. He’s extremely impressive in that he can look right at you, point and you can have a full blown conversation with him. 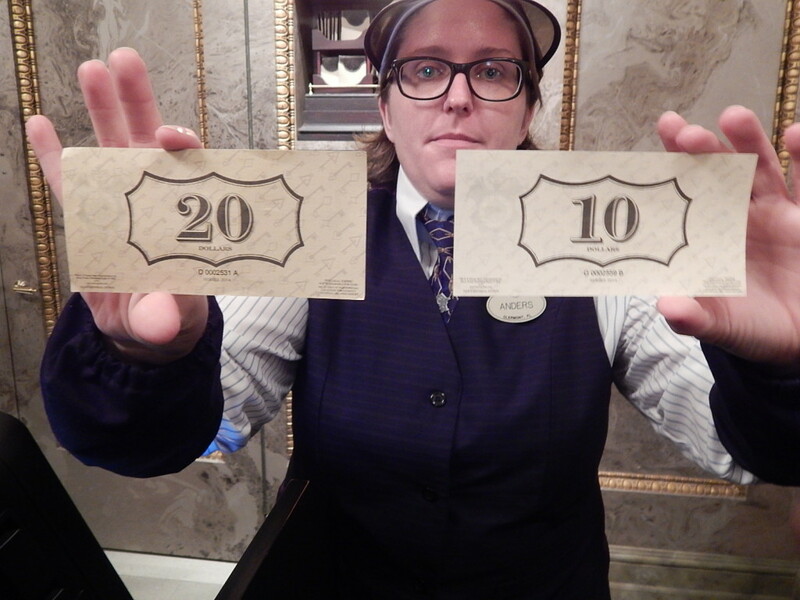 Even though the only place you can purchase these new notes is Diagon Alley, they are accepted just about anywhere on Universal Orlando property. 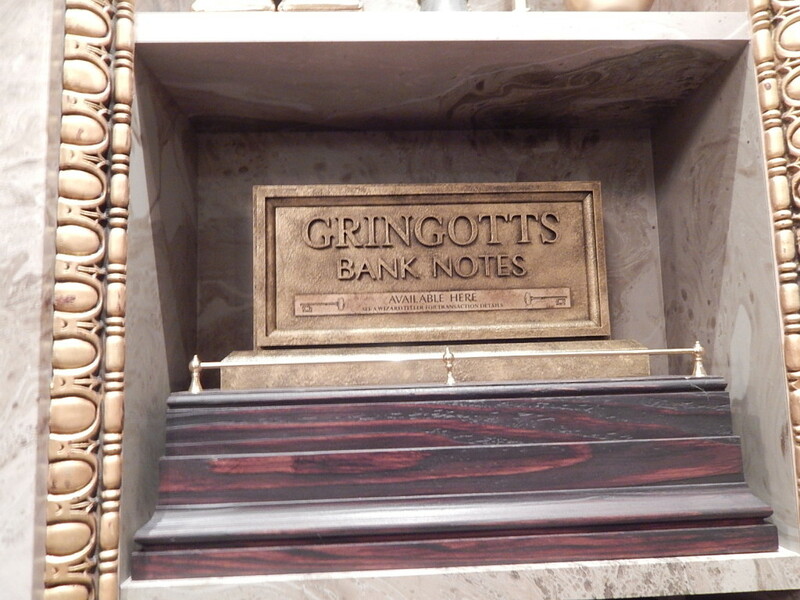 They are quite detailed and frankly, will often go unused and be brought home as a souvenir for those Potter fans who have to have everything. 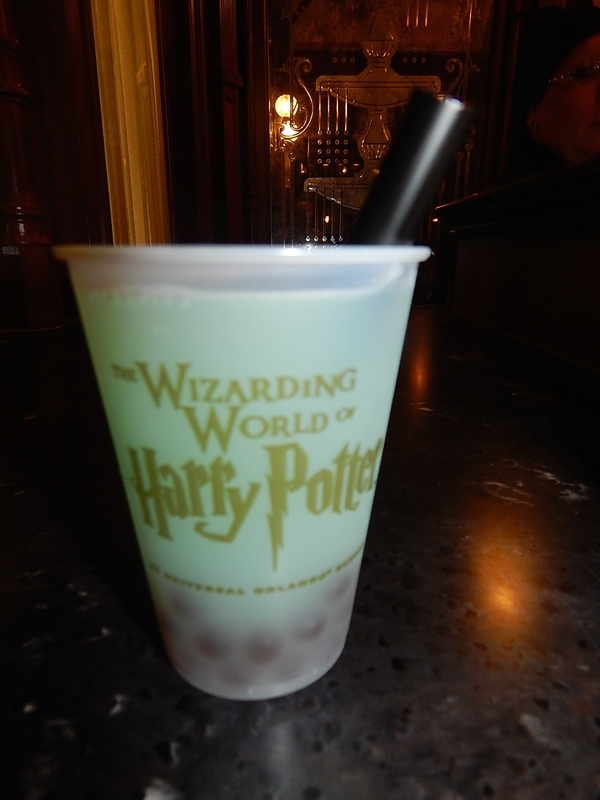 An ingenious move on the part of Universal Orlando. Bravo. 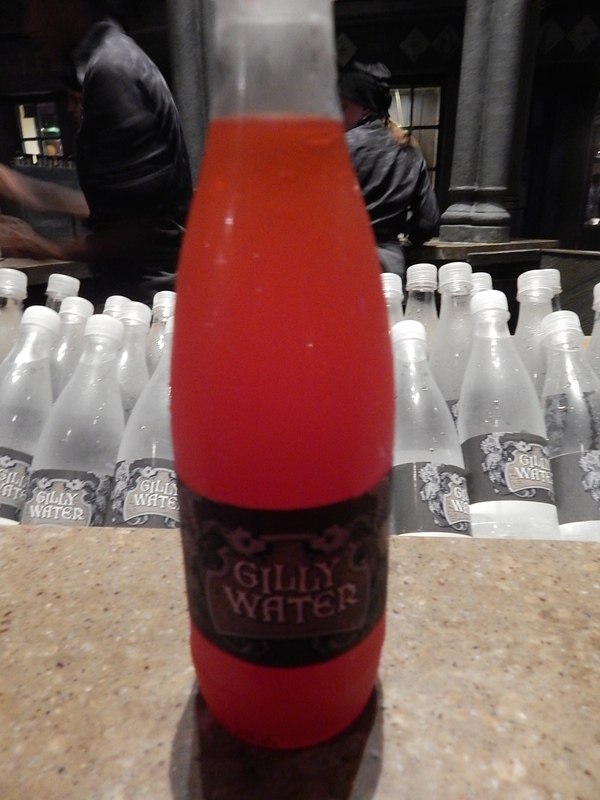 Then there’s Gilly Water where you can get “potions” added to a bottle of water. Cashing in on the craze of adding “flavor” to a bottle of water that seems to be picking up steam, I really enjoyed the end result far more than I thought I would. 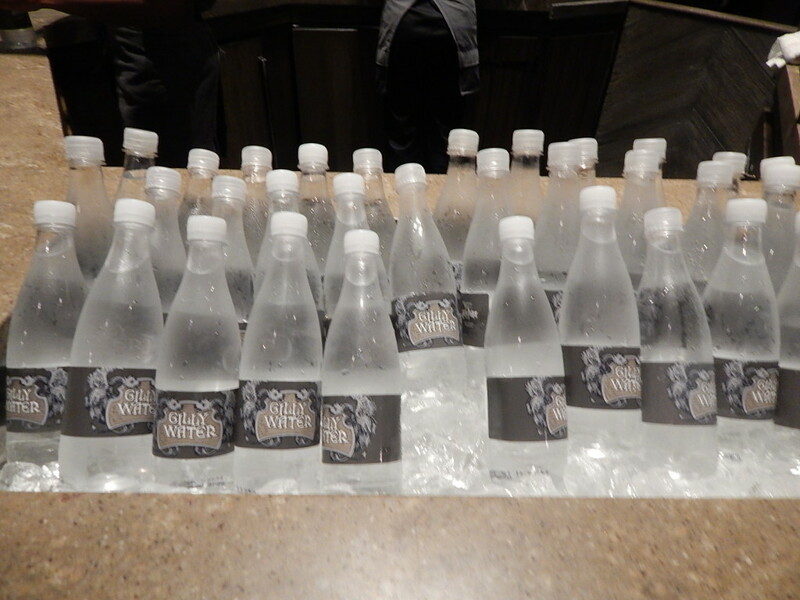 It’s a clever presentation where they take a vile of concentrated flavoring and add it to an ice cold bottle of water. 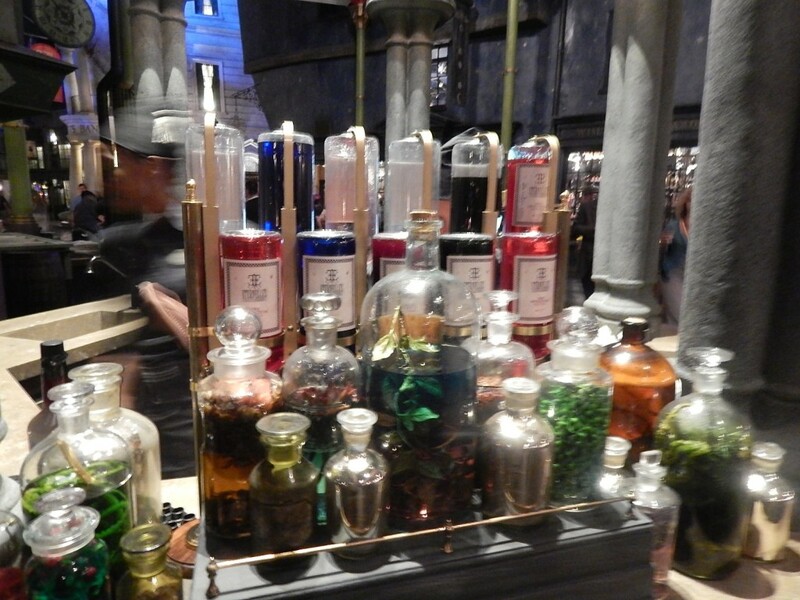 “Flavors” include: Fire Protection, Babbling Beverage, Elixir to Indulge Euphoria and Draught of Peace. I chose Fire Protection and the end result is a refreshing beverage that didn’t feel heavy, syrupy or every sugary in the slightest. I actually look forward to going back and trying other flavors. 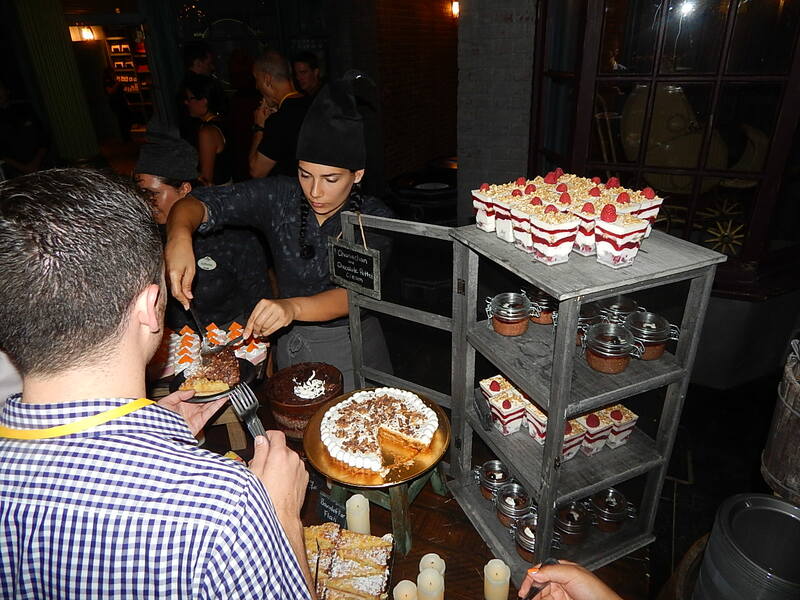 They also had every single dessert available in Diagon Alley available for sampling. Seriously, I must have tried over ten desserts and there’s not a bad one in the bunch. In particular, the Chocolate Potted Cream is a fantastic chocolate mouse. 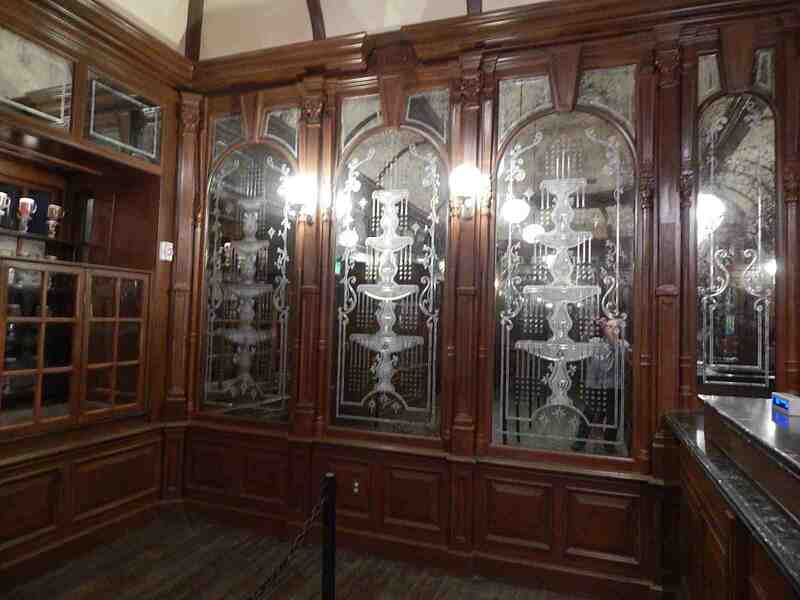 As promised, Olivander’s Wand Shop in Diagon Alley is a much larger version than what is offered in Islands of Adventure. It’s enormous and helps solve the problem of one of the longest lines in the park. There are three rooms where the show takes place. 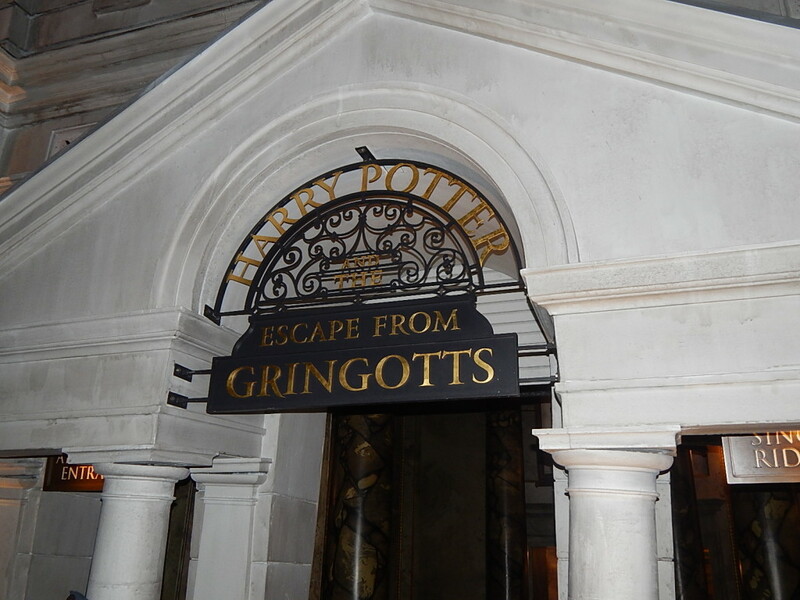 There’s a lot to see in the new land, so come back to Theme Park University next time as we explore more of Diagon Alley including Harry Potter and the Escape From Gringotts! 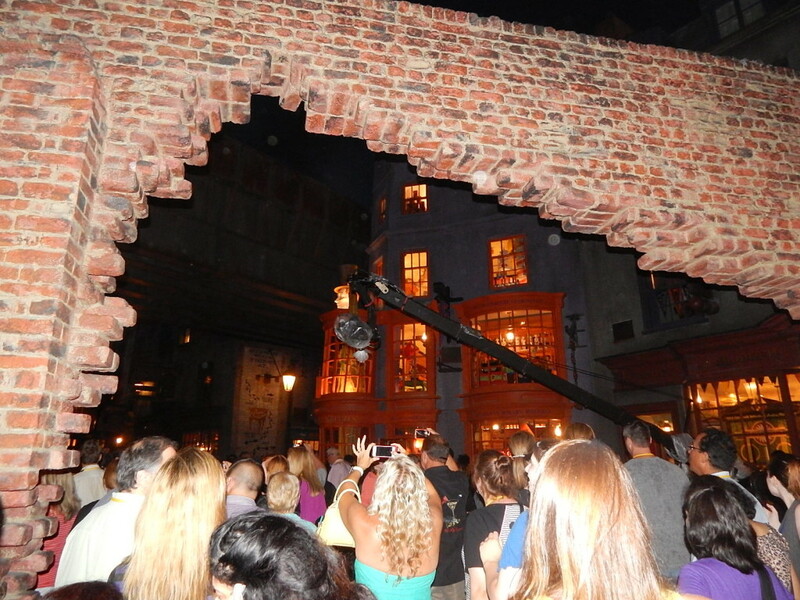 This entry was posted in Universal and tagged Diagon Alley, Fishy Green Ale, Gilly Water, Harry potter and the escape from Gringotts, Hogwarts Express, Universal Studios Florida. Bookmark the permalink. Trackbacks are closed, but you can post a comment. Wow! They have really out done themselves! 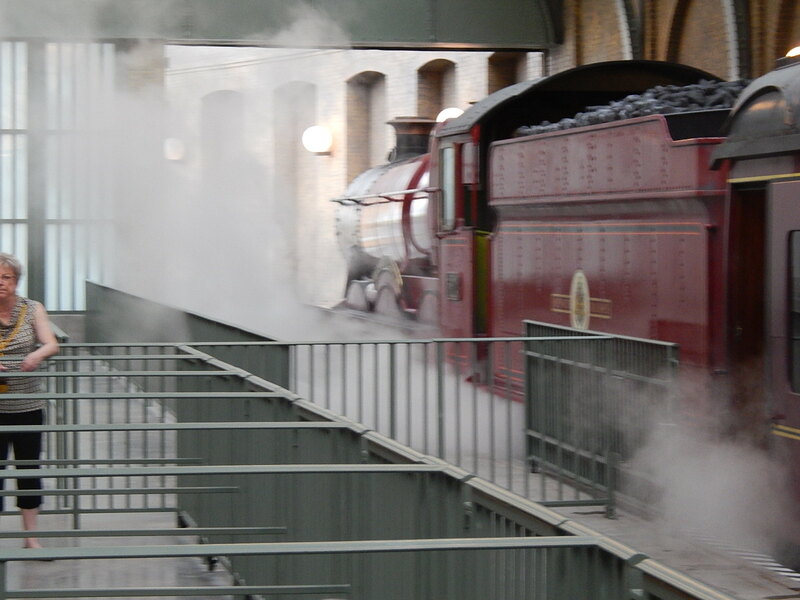 I wonder, how does the hogwarts express operate? Are there multiple trains? 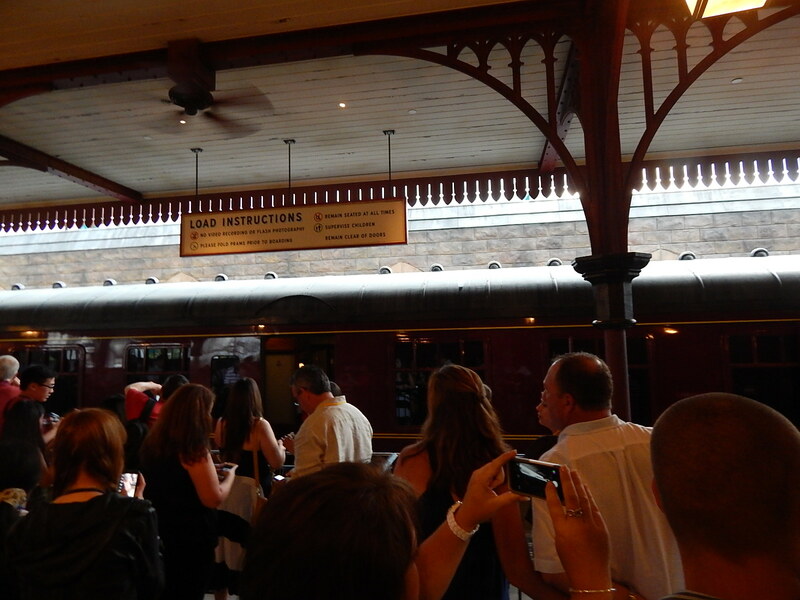 If I take the train to hogsmead do I need to get back in line to return to digon Ally? Is the attraction the same on both trips are are they different experiences depending on where you are going?